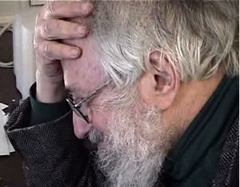 Here is a promotional video produced by the Father of Educational Computing and the Maker Movement, Dr. Seymour Papert, for the LEGO company circa 1987. It introduces learning through robotics construction and Logo programming in an inner-city Boston public school, The Hennigan School. Seymour Papert Introduces LEGO TC Logo from Gary Stager on Vimeo. CAC has global potential; so I have been many places. It works! I am celebrating today, since beginners in a MN Kindergarten just got 70 Compute-A-Color Tool Buckets. FUN!